At the beginning of the year my office was asked to sponsor an event being organised by one of our students. I get a lot of requests for sponsorship but not often for initiatives like this and when I learnt more about what the student was trying to do I was pretty impressed. The event, named the Dream Big Project, was the idea of third year engineering student Jessica Kahl and aimed to inspire young women in the latter years of high school, to choose engineering as a career path. As well as being an all-round good idea I was also keen to see it go ahead as it was likely to be a great opportunity for us to interact with and recruit future students. Last week however it came to my attention that the Project had in fact been recognised as a nominee in the Engineers Australia Gender Diversity Awards under the category of ‘Most Encouraging student or non-profit group in Gender Diversity’. While Jess and the Project didn’t win the category the Dream Big project was given a highly commended stamp. The fact that this Project was recognised as a nominee by such a prestigious, national organisation got me thinking how this was more than just a great opportunity for the University to interact with prospective students. It was actually a chance for young women to be inspired by someone they can relate to and to be switched on to a career in engineering and the many possibilities that come with this. Traditionally, engineering has been a vocation that primarily attracted males (as with many of the maths and science related disciplines), so how great is it that something is being done to change this and to encourage girls to become engineers? More so how great is it that it is a CQUniversity student leading the charge? Congratulations on your recognition Jessica! You definitely deserve it. I can’t wait to see the Dream Big Project develop further and the impact it will have on attracting more women into the program. To learn more about the Dream Big Project please go to the site Jessica has developed http://jessicakahl1995.wix.com/dream-big-project. Earlier today, I officially signed a memorandum of understanding with the Queensland Agricultural Training Colleges. 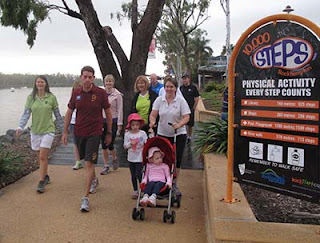 We were joined at this event by State Minister for Agriculture and local MP for Rockhampton, Bill Byrne. CQUniversity is already recognised as one of Australia’s most outstanding universities for Agricultural Research and with this new MOU I believe our newly designed ag program will place us ahead of the pack when it comes to agricultural training and education. The new Bachelor of Agriculture Degree was launched during Beef Week earlier this year and will see the first intake of students commence the program in Term 1, 2016. The design of this program allows students to explore all facets of agriculture from on the farm projects to technology and agribusiness. It allows students to gain experience in the field and will also connect them with industry mentors. All in all, this program will be Australia’s most hands-on agriculture degree program. The MOU we signed today will help lay the foundations of the program because it will see our students and researchers being able to access the fantastic agricultural training facilities available at the QATC in Emerald and Longreach and will also provide QATC students with seamless pathways into further study at CQUni. The milestone reached today is another exciting step in CQUniversity’s agriculture journey and will complement our existing partnership and MOU with Agforce that sees us providing pathways for school and vocational students. It comes as no surprise to me or any of our alumni, but graduates from regional universities such as CQUniversity can expect to earn just as much as their counterparts from the Group of Eight (Sandstones), according to a new national survey report. A recent survey from Household Income and labour Dynamics in Australia (HILDA) by the University of Melbourne found “no significant earnings differences are evident between (graduates of) Go8, Regional Universities Network (RUN) and overseas universities for men or women”. Whilst there are many variables to look at when it comes to graduate salaries and the attainment of full time employment after graduation, I do think these findings illustrate that employers are looking for graduates who have developed tangible skills sets through work related learning. In particular I think it also proves that gaining a qualification from a university removes barriers to securing a good job and a decent salary to go with it. For example The most recent available Graduate Careers Australia figures, drawing on data from 2013 graduates, show that CQUniversity's domestic bachelor degree graduates had an overall full-time employment rate of 79.8 per cent, more than 10 points above the national average of 68.1 per cent. CQUniversity Australia also performed well with an overall median salary of $58,000 (across all study areas) compared with the national overall median salary of $55,000. GCA figures show CQUniversity graduates leading the way on median salaries across a range of disciplines, including Building ($77,000 compared with $55,000 national average),Mechanical Engineering ($93,500 compared with $64,000), Civil Engineering ($65,000 compared with $60,000), Electrical Engineering ($80,000 compared with $65,000),Chemistry ($58,000 compared with $50,000), Computer Science ($63,000 compared with $55,000), Business Studies ($60,000 compared with $50,000), Humanities ($67,000 compared with $49,000), Health Other ($65,000 compared with $56,000), and Psychology($55,000 compared with $50,000). No matter how you look at these results, the one important thing I take out of this is that regional universities just like CQUni are delivering industry with work ready graduates who are filling vital roles and transforming their communities, not just in the big cities but in regional and remote centres right across Australia. 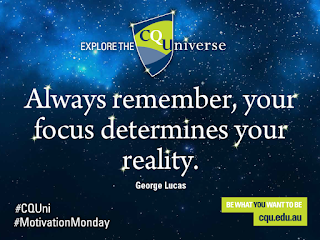 And this is what motivates myself and the 2,000+ staff at CQUniversity every day. Everyone wants to make their mark on the world – but taking the first steps to starting isn’t always easy. That’s why I was very impressed to meet 13 CQUni students participating in the Gladstone Region Social Innovation Incubator earlier this month. 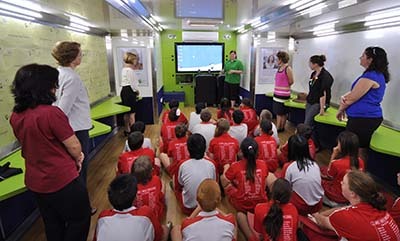 Travelling to the resources hub from across Queensland and even interstate, the students tackled a two-week course in Community Engaged Learning – with an innovative twist. 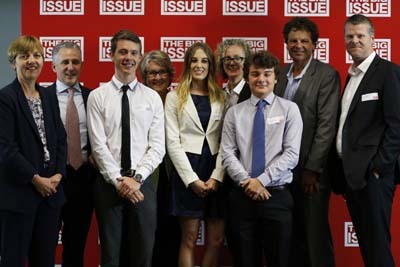 The intensive pilot project was structured around real life experience – students met Gladstone industry, business and community leaders, and grappled with many of the challenges faced by the fast-changing regional city. 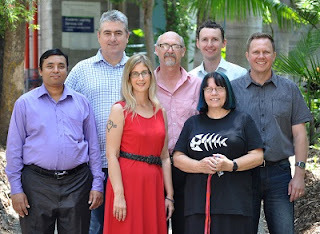 The project was an initiative of CQUni Associate Vice-Chancellor (Gladstone Region) Professor Owen Nevin, Social Innovation Project Manager Dr Julie Roberts, and Gladstone Regional Council Multicultural Community Relations Officer Luis Arroyo. Dr Roberts explained to me that there’s so much students can learn in this space, but the key for this course is getting inspired – coming face to face with real-life challenges for regional communities, and being given the means to tackle these challenges creatively. And inspiration came thick and fast, with the student teams creating business plans and colourful “pitches” for four big ideas – then received assessment and feedback from a panel of community leaders in a dynamic “Dragons’ Den” format. The panel included myself, and we faced some tough decision-making to pick a winner – and eventually awarded two teams the prize, with each in seed-funding to grow their social innovation idea. The two winning ideas were The Refinery, a small business hub to support and grow local micro-businesses, and Harbour Heroes, a tween gaming app concept built around environmental values and local pride. 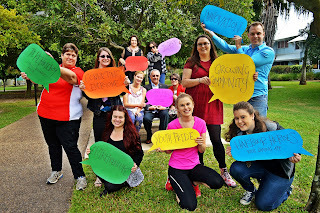 We are establishing ourselves as a leader in social innovation, which is at the heart of CQUniversity’s values. Social innovation is not only preparing students for the workforce, but preparing them to be leaders in their sectors – and the ability to innovate, and to give back to the community around you, is crucial to that. Gladstone was chosen for the pilot due to keen support from Professor Nevin, as well as a range of industry and community groups. 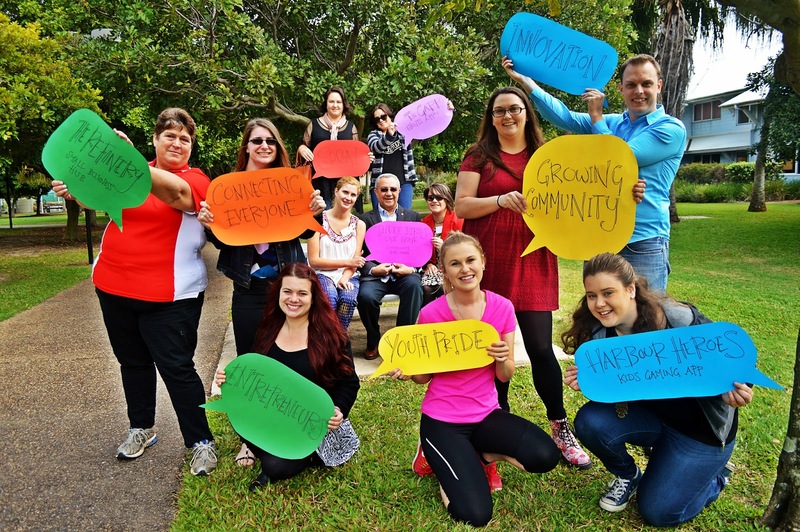 Professor Nevin said he hoped to run the course regularly, and open up participation to local people who want to grow their own social innovation ideas, as well as CQUniversity students. Participants finish the two weeks with the ability to evaluate and assess social impact, design social innovation projects, and better understand the finance, process and leadership required in the new sector. Congratulations to all the students and staff involved in the Gladstone Region Social Innovation Incubator, and I hope you can take many big and world-changing ideas back to your communities, and careers. We wouldn’t have great teaching without great teachers, inspiring their students and innovating in so many elements of their practice. That’s why it’s so important to recognise and celebrate examples of great teaching, through the annual Vice-Chancellor’s Awards for Learning and Teaching. These Awards will be formally presented at the 2015 Staff Awards Ceremony in November. Please join with me in celebrating these exceptional teachers! It’s great to work among so many passionate and talented people. Keep up the great work. Sandy McLellan (School of Nursing and Midwifery) for outstanding engagement and commitment to learning and teaching in the undergraduate Nursing programme, as reflected in excellent communication skills, flexibility and depth of knowledge. Dr Ali Abusalem (Division of Industry, Vocational Training and Access Education) for the creative implementation of innovative techniques and technologies, coupled with intensive communication, to promote student empowerment and the realisation of learning and teaching goals. 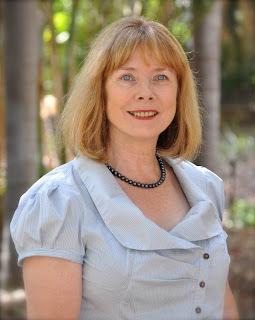 Provost Hilary Winchester yesterday wrote a very thought provoking opinion piece that was published in the Australian Higher Education section. Hilary raised a number of very valid points about gender gaps in the workplace and I think this is an issue that needs to start being taken seriously - especially the issue Hilary raised about women in science, engineering and technology. For my mind the gender gap in this area starts with universities because it is our responsibility to attract women to study these disciplines. In terms of CQUniversity though I am proud to say that we have a very equal mix of women in executive and senior management positions, in fact the divide among our senior executive team and school deans is 50/50. And even more importantly the pool of talent we have right across the university is exceptional. Overall I don't think the merger could have gone any better, nor our outcomes in the past year been any more successful. Of course we still have our challenges to work through, however, since the merger, I believe that each and every person at CQUniversity has gotten on with the job of making CQUniversity one of Australia's great universities. With so much happening its sometimes easy to forget about the many achievements of our university, our students, our alumni and our colleagues. Which is why I thought today, the first anniversary of the merger, was the perfect day to provide a brief snapshot of just some of the remarkable achievements witnessed in the past year. I hope these will remind you of why CQUniversity is a great place to be and how we are making a real difference in the many communities we serve. In the past year CQUniversity has extended its national presence, opening a study centre and campus in Townsville, and study centres in Charters Towers, Perth and Karratha. As well as the new Townsville campus, we have also just moved into a brand new campus in Melbourne and are currently putting the finishing touches on our new Cairns campus. The exciting thing about the merger was that CQUniversity could deliver more study and pathway programs than ever before. In just the past 12 months 30 new VET courses have been developed and are being delivered to students in CQ and beyond. 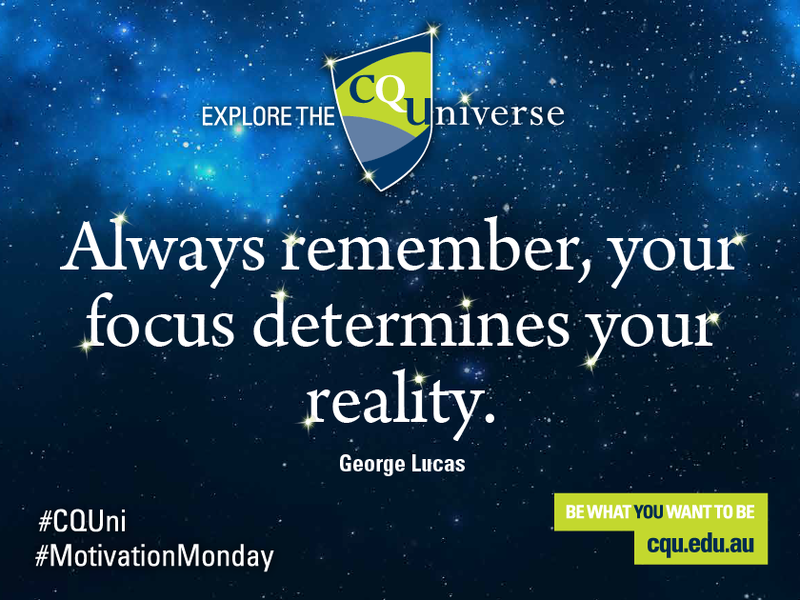 Whether people are starting their careers, changing their careers or adding to their skills, CQUniversity can deliver like never before. Stage 2 of the CQUniversity Health Clinic was completed thanks to funding made available as part of the merger. The facility now provides a real life setting for health students to train in and delivers the public with affordable access to healthcare in the CQ region. A record number of awards have been given out in the past year with with the highest ever number of teachers in the higher education division being recognised for excellence in learning and teaching. Along with this teachers from the IVTAE division have also been recognised for excellence at regional and state level training awards. 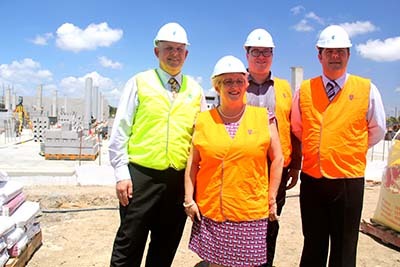 Building MackayA $16.6 million engineering precinct being constructed on the Mackay Ooralea campus will give both the University and students a huge boost and provide the region with one of the most cutting edge engineering precincts in Australia. What's more, Mackay Regional Council has also approved $10 million in funding for Stage 1 and 2 of a new sports precinct at the Ooralea campus. 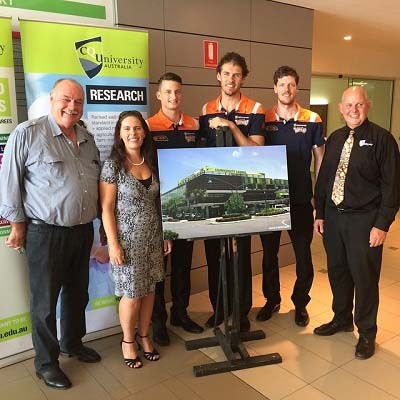 There also also other exciting capital works projects being undertaken at the Mackay City campus. 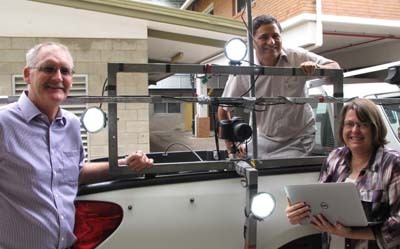 Three CQUniversity Engineering students with a Big Idea, beat out competitors from Go8 universities to win the national Big Idea comeptition that promotes social innovation. This achievement was made even more remarkable because this was the first time a team from CQUniversity entered the competition. The team's winning entry was based on emergency shelter houses made out of recyclable wooden pallets. This year CQUniversity was a major supporting partner of Beef Australia 2015, which is one of the most important events on the global Beef Industry calendar. As well as promoting our credentials as a leading agricultural research university the event also delivered valuable opportunities for branding, engagement, student recruitment and publicity. Cyclone Marcia closed campuses across central Queensland and caused damage to both Rockhampton campuses but with the help of a large group of student and staff volunteers, both sites were back up and running, business-as-usual within a week. One of CQUniversity's pillars of greatness is giving back and with so many great staff and students, this concept is easily achieved. Just this year CQUniversity has contributed almost $40,000 to Rotary, with these funds being directed to disaster relief in Vanuatu and Nepal. EDNA IICQUniversity's brand new engagement database was launched this year and already has more than 500 entries! This new database will allow us to record important internal and external engagement interactions and showcase why we are Australia's most engaged university. The University's Office of Indigenous Engagement continues to deliver great outcomes thanks to the programs they run and the engagement work they carry out in the communities we serve. Important activities include the AIME mentoring program and delivering support to our Indigenous students across Australia. In fact this year we will have more Indigenous students graduate than ever before. A brand new marketing campaign was launched last year to promote the countless study and pathway options available at CQUniversity, right across Australia. The campaign has been one of the University's most successful to date with record domestic undergraduate growth and our biggest ever STEPS cohort joining the University this year. From significant research grants, new research opportunities and engagement, recognition and accolades for our research staff, and the delivery of research that is relevant to communities and industry, there really should be a whole broadcast just dedicated to our research highlights since the merger! Because of this CQUniversity is fast emerging as one of Australia's great research universities. 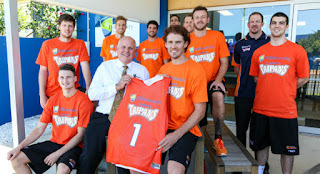 CQUniversity last year announced that it would become the naming rights sponsor of the Cairns Taipans NBL team. The team went on to become runners up in the competition and the sponsorship delivered countless engagement opportunities in Cairns and beyond. The sponsorship also provides CQUniversity with opportunity to profile its brand across Australia and New Zealand. In 2015, CQUniversity announced funding for 21 projects aimed at raising university aspirations among disadvantaged students. The funding worth $5.1 million is part of the Commonwealth’s Higher Education Participation Program (HEPP). Projects funded under this initiative will span the entire student journey, including raising aspirations of high school students (and their capacity to succeed), and providing targeted support services during the study journey. The projects will also help to connect students with industry and secure employment opportunities. Earlier this year CQUniversity celebrated the graduations of the first cohort of students to study with CQUni through the Geraldton Universities Centre. 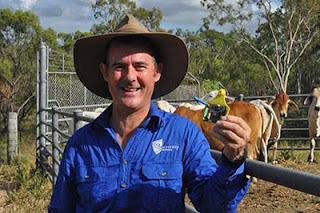 A story about 'Mooobile Wi-Fi' using cattle ear tags to boost Wi-Fi signals in the bush turned out to be a spoof but it succeeded due to an element of truth and shined a light on the many serious agricultural research projects being carried out at CQUniversity. The story reached more than 1 million people across the globe and was named as one of Australia's best April Fools jokes by The Guardian Australia, Crikey and The Daily Telegraph. The University has this year introduced new mechanisms to keep our staff, students and visitors safe and to more effectively communicate during emergency situations. The SafeZone App allows users to call for help and also sends notices and alerts in the event of emergency.